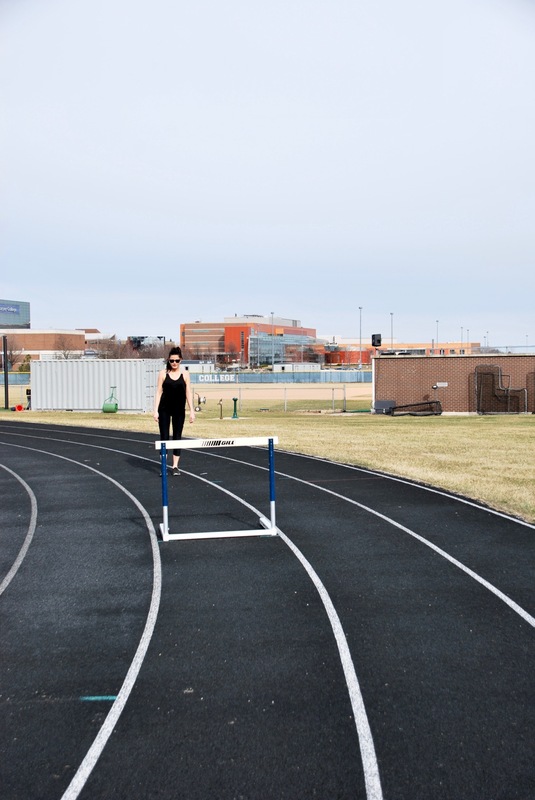 It’s that time again – hurdle season and so my workout routine amps up. The most important thing about running hurdles is the warm up with stretching. There is a series of hurdle stretches that I teach my student athletes before they even run on the track. Then after stretching, come the hurdle drills. These are quick and target specific parts of the hurdle running technique. After all that, student athletes are ready to hurdle. 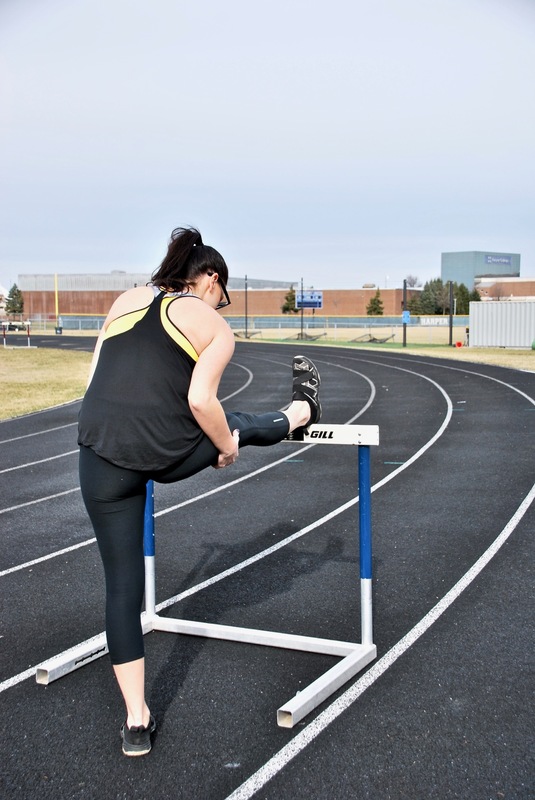 I could get all technical in this blog post, but if you’re really interested in learning how to hurdle let me know or if you want a list of the hurdle stretching routine. I’ve been running hurdles since freshman year in high school and I love the event. I still run hurdles at practice because I want athletes to see how to actually hurdle. Most people think you just jump hurdles, but hearing that just makes me cringe. You don’t jump hurdles, you run them. Safety is also very important. If athletes aren’t careful or lose concentration, then some serious wipe outs can happen. I remember I was running sprint mini hurdles way back in high school and I tripped during a set and totally scraped up my legs and face against the track. It hurt so bad! I just got back up, got cleaned up at the nurse (after I stopped crying) and went right back to practicing. Gotta be fearless to run hurdles! Bravo! That’s a great motto to live by!